This fall colour report for Ontario Parks provides detailed descriptions of the percentage of colour change, dominant leaf colour, and percentage of fallen leaves for each of Ontario’s provincial parks. It also provides a recommendation of the best viewing location in each park. Be sure to take a glance at the date in each location’s report – some seem to be updated more regularly than others. Quebec’s tourism office also provides an interactive map of fall colours in key locations across the province. It’s not as detailed as the Ontario Parks map, though, showing only an icon of the dominant colour and indicators like “early” and “mid” and “near peak.” It’s updated every Thursday. For those of you in the USA, there’s a comprehensive map showing the fall colour progression right across the country. It even predicts when the colour will be at its peak and beyond, through the middle of November. 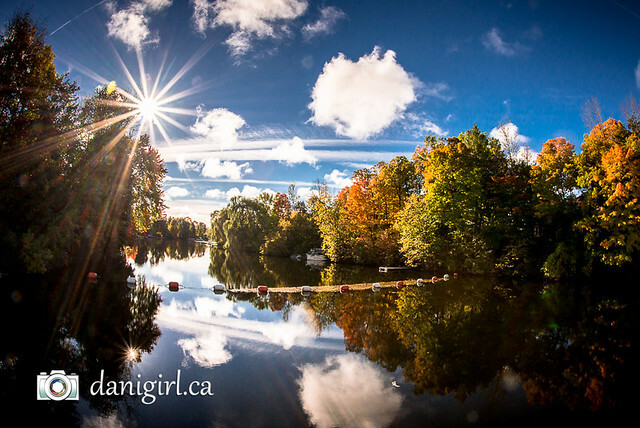 If you’re planning a family excursion to enjoy the fall colours, consider hiring me as your own personal photographer to document the morning or afternoon. 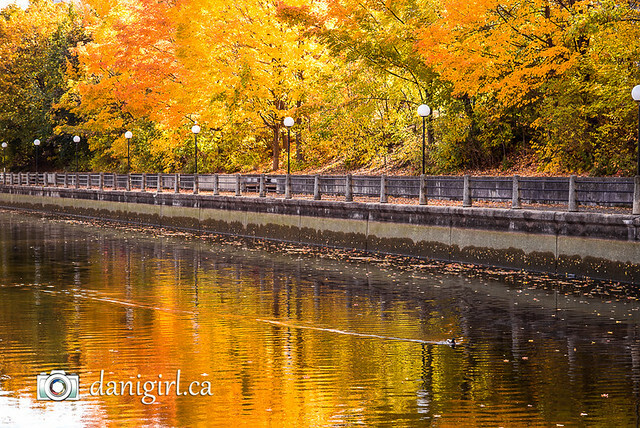 Autumn is a wonderful time for family photography, and I know a few great places off the beaten path that are especially beautiful this time of year. 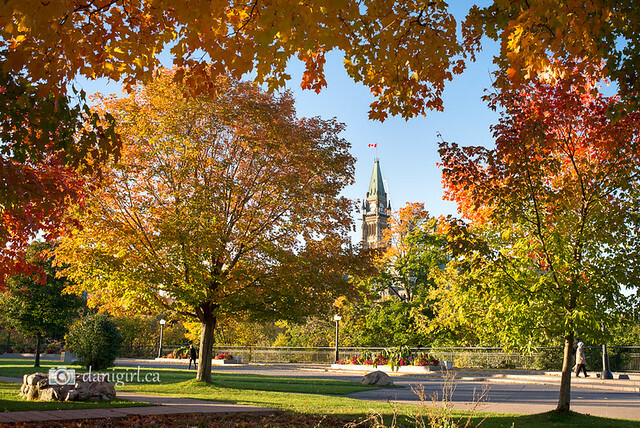 If you’d like to know more about my photography packages, visit my Ottawa family photography website. I have a few weekend openings available between now and the end of October, but they’ll book up quickly!